Our guide to Decorative Accessories offers detailed descriptions of companies such as UncommonGoods, LLC and Maitland-Smith. Online specialty boutique featuring unusual and innovative household items including lighting, fan pulls, bathroom accessories, cabinet hardware, decorative items made of recycled materials, and more. Inspired by 17th century England, Maitland-Smith designs and sells decorative accessories, lighting, furniture and bath furnishings. Canadian company produces quality gas and propane fireplaces, gas grills, pellet and other solid-fuel stoves. Founded by a sculptor and artist determined to save architectural treasures from the bulldozer, this company sells a variety of salvaged goods including fireplace mantels, doors and lighting. Sturbridge Yankee Workshop makes country and Shaker style furniture, window treatments, rugs, lighting, bedding, and bathroom and kitchen decorative accessories. Supplier of hand-pierced tin, copper and brass panels for cabinets based on historically accurate designs. This online merchant specializes in knobs, pulls, handles and other hardware for kitchen and bathroom cabinetry. This company designs and imports fixtures, plumbing and decorative accessories for the kitchen and bathroom in a variety of styles and materials. Large manufacturer of hardwood mouldings and decorative accessories. Specializing in stain grade embossed and dentil patterns, the company also offers cornice mouldings, chair rails, baseboards and door casings as well as pediments, pilaster capitals, decorative trim, ornaments and corbels. This online retailer sells knobs, pulls, hinges, racks, and other hardware from a variety of manufacturers and in many styles. Company handcrafts rustic hardware for kitchen and bath cabinetry or fine furniture. Specialty kitchen cabinet manufacturer makes tambour doors, range hoods that blend with cabinetry, and wall panels. 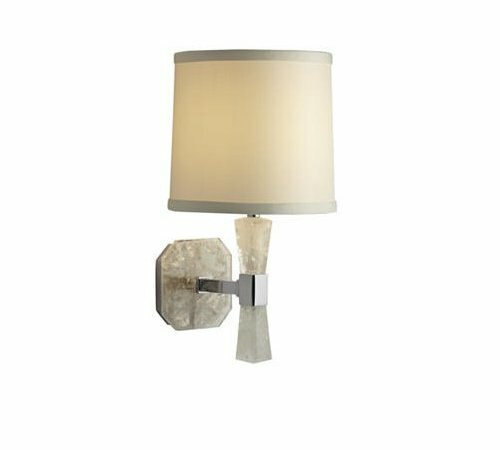 Quartz and silk combine for a glamorous little wall sconce. 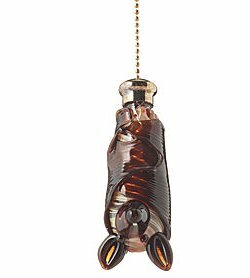 Hand-blown glass bat is a ceiling fan pull.